Precision die casting is just one of many manufacturing innovations that have really emerged into the automotive world in the last two decades. Thanks to techniques like precision die casting, today’s vehicle can be lighter, safer, more efficient, and still profitable for the manufacturer all the same time. Explore the benefits this precision die casting technique offers to automotive businesses across Europe. Precision die casting is done primarily with aluminum because it works best with the high detail molds used for this kind of molten metal casting, is light weight, and highly durability. A lighter vehicle is more fuel efficient and allows the manufacturer to reduce the power of the engine to meet emissions standards without having to sacrifice speed or responsiveness, all thanks to precision die casting. Since aluminum parts made with precision die casting are just as durable as traditional cast iron or machined steel parts, there’s no increased repair or replacement costs handed down to the consumer either. This is a common problem experienced by manufacturers who try to reduce vehicle weight by swapping metal for plastic parts rather than choosing precision die casting and aluminum. Precision die casting is a highly automated process, with the technicians primarily controlling the design input and having less hands-on input in the actual manufacturing process. If you’re interested in launching vehicles that would require dozens of similar parts with very small variations, precision die casting is the fastest and most efficient way to achieve this goal. An entire range of variations can be produced with precision die casting in a fraction of the time it would take to create tooling and machining equipment for more traditional machining and casting techniques. Precision die casting offers the high quality of a machined product with a much more affordable price tag. This means that precision die casting can be used for both high fidelity models during the design stage and the bulk manufacturing process once a vehicle or part goes into production. Precision die casting is flexible and affordable enough to be used for multiple purposes during the automotive manufacturing life cycle, reducing the need to find and work with other subcontractors just to accomplish your goals. Since precision die casting relies on aluminum and alters the metal relatively little during casting, both the finished parts and any offcast material is easily reused. In North America’s automotive manufacturing industry, an estimated 75 percent of aluminum is recaptured and recycled. This number is much higher in many European countries with very high standards for environmental impact and waste reduction. Precision die casting can give you an edge over the competitors if you highlight how it’s helping you reduce waste and increase opportunities for recycling. Precision die casting produces parts ready to handle the stresses of the engine, suspension, or frame without the need for additional heating treating in most cases. The reduction in stresses induced in the aluminum during precision die casting results in a part with little to no warping either, eliminating the need for finish machining in many parts. Finally, precision die casting can produce very thin walls, tight curves, complex channels, and other difficult design features. Other forms of casting that aren’t precision die casting struggle with these kinds of technical details, resulting in the use of costly machining services. Precision die casting approaches the precision of machining without the high cost or slow manufacturing speed. 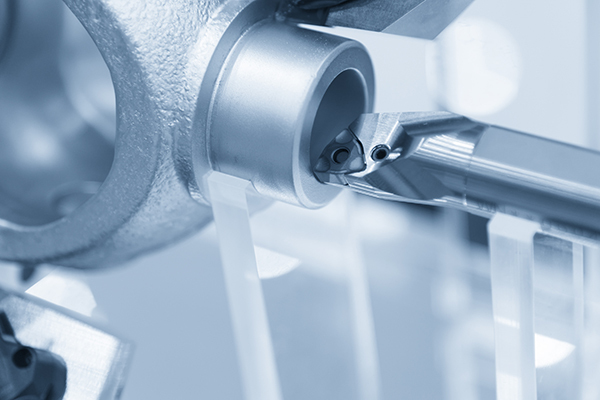 If you’re convinced that precision die casting is worth a try for your automotive manufacturing needs, peruse European Subcontracting Network to find subcontractors ready to help you give it a spin. Our precision die casting subcontractors have the equipment and design knowledge to make your automotive parts more affordable, efficient, and effective all at the same time.